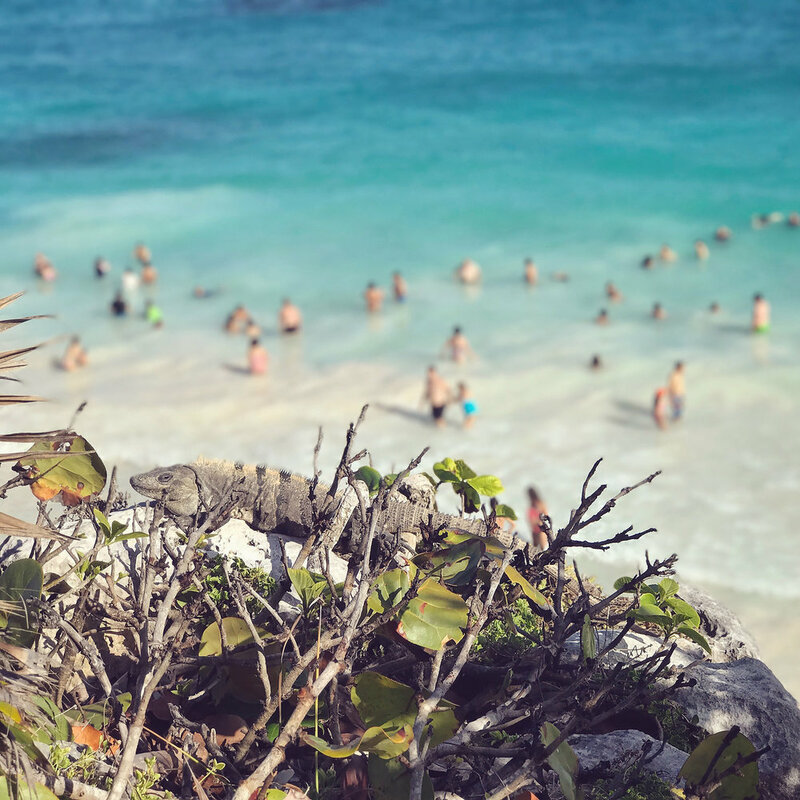 The ruins of Tulum aren't as grand as some of the other ancient Mayan temples that have survived the test of time, but they have one amazing thing going for them, the beach they tower over is breathtaking. A gradient of blues that meet with the white sandy shoreline. You can purchase a package that includes entrance fee, a boat ride, and snorkeling for about 25 USD. We wandered through the ruins by the sea, catching sight of all the iguanas blending into the stonework. Tulum was a seaport built in the 13th century, trading mainly in turquoise and jade. If you're hungry before or after the tour relax beachside at a lunch spot called Pancho Villa. The food is descent and the service is latin style (meaning it will take an eternity to get your food), but if you're not starving or in a hurry it's right on the beach and has a great beach shack vibes. Sipping a margarita at Pacho Villa's.